Snow Plowing Buffalo - Snow Removal Buffalo - Grandview Landscaping and Snowplowing Inc. In the Western New York area snow is an incredible nuisance. Let Grandview Landscaping & Snowplowing, Inc. take care of it for you! 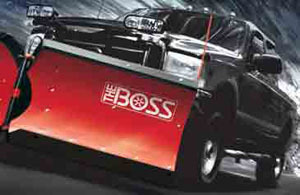 Our snow plows are always ready to tackle the tough WNY Winters. We're on call 24 hours a day, every day. No commercial job is too big or too small. We always have up to the minute information on local weather conditions. Our network dispatcher can effectively place the required equipment depending on any weather condition by state of the art communications. Our detail orientated and reliable drivers can maneuver around any commercial lot. We will never leave you out in the cold when it comes to snow removal.